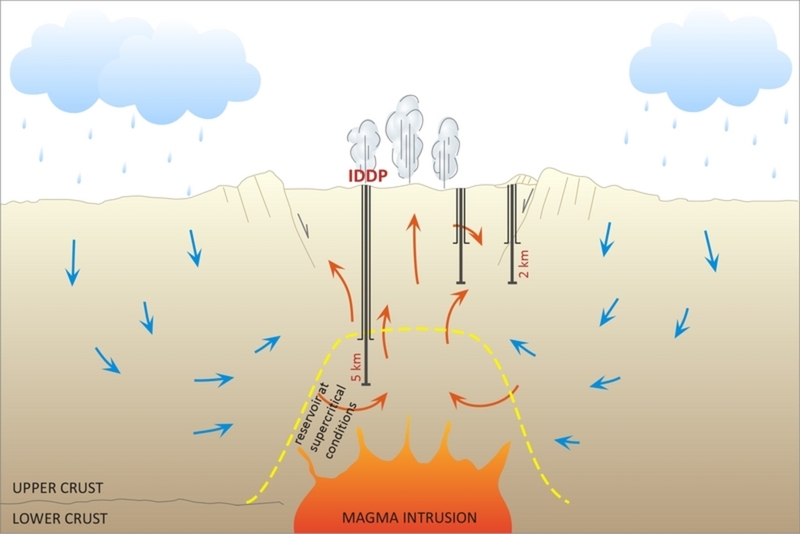 Iceland Deep Drilling Project (IDDP) recently announced they almost reached into 5km down into the heart of a volcano where temperatures about 500C. The project aims to 'drill' a new era of the geothermal energy industry. According to the IDDP, the project almost reached 5 km down into one of the most volcanically active places in the world, Reykjanes peninsula. Researchers aim to bring steam from 5 km deep up to the surface to provide a vital source of geothermal energy. Asgeir Margeirsson, CEO of the IDDP said they will reach their goal in a few weeks if everything goes well. "We hope that this will open new doors for the geothermal industry globally to step into an era of more production. That’s the aim - that’s the hope. We have never been this deep before, we have never been into rock this hot before, but we are optimistic." The IDDP project is a collaboration between Icelandic government, industry, and scientists. It's located in Reykjanes peninsula, where a volcano last erupted 700 years ago. According to geologists, they don't expect to drill into magma. The team aims to reach a molten rock level mixed with water. The ultimate heat and pressure stuck at this depth turn water to a "supercritical steam," which is neither a gas nor a liquid and holds 10 times more energy than conventional geothermal. Iceland sits on a boundary between two major tectonic plates. It already harnesses geothermal energy through establishments there. According to Asgeir Margeirsson, they typically drill to 2km or 3km deep to harness the steam in the Reykjanes area to produce electricity. "If this works, in the future we would need to drill fewer wells to produce the same amount of energy, meaning we would touch less surface, which means less environmental impact and hopefully lower costs. But that is if this works. This is full-scale research and development - we don’t know what the outcome will be. It would come out rather like lancing a boil or popping a spot. It would cause huge problems for the drilling operation itself, but it is unlikely to cause anything more significant than that." However, the IDDP team says that they could also make significant discoveries about how volcanoes work as well. They're currently "drilling blind," which means no rocky debris comes back up to the surface as it's being absorbed into the surrounding rocks. "Drilling has progressed slowly but steady for the last few weeks. Since 3200 m depth, we have been drilling without getting any return of circulation fluid or drill cuttings to the surface. Seven times we have attempted to drill for spot cores, providing us with valuable rock samples for detailed petrological and petrophysical research." said IDDP on their latest release on November 28.